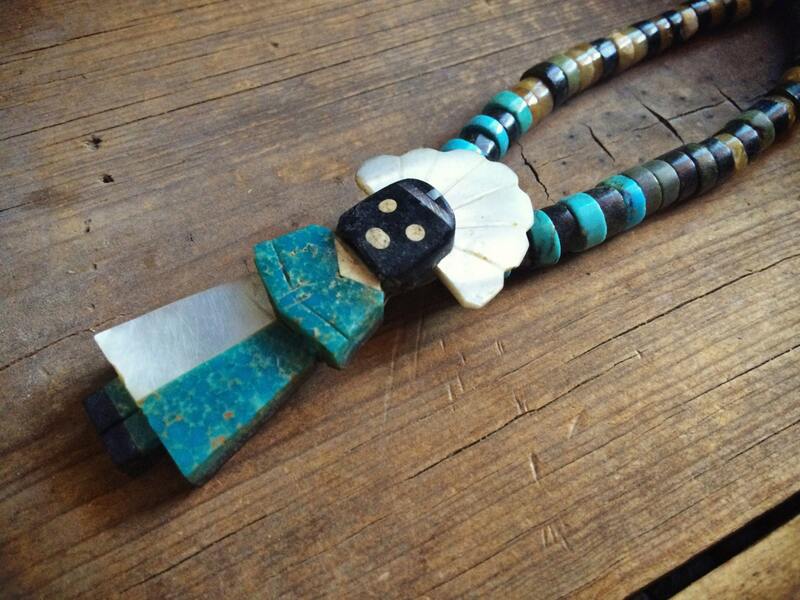 When I bought this necklace, the Kachina fetish was held together with layers of surgical tape. 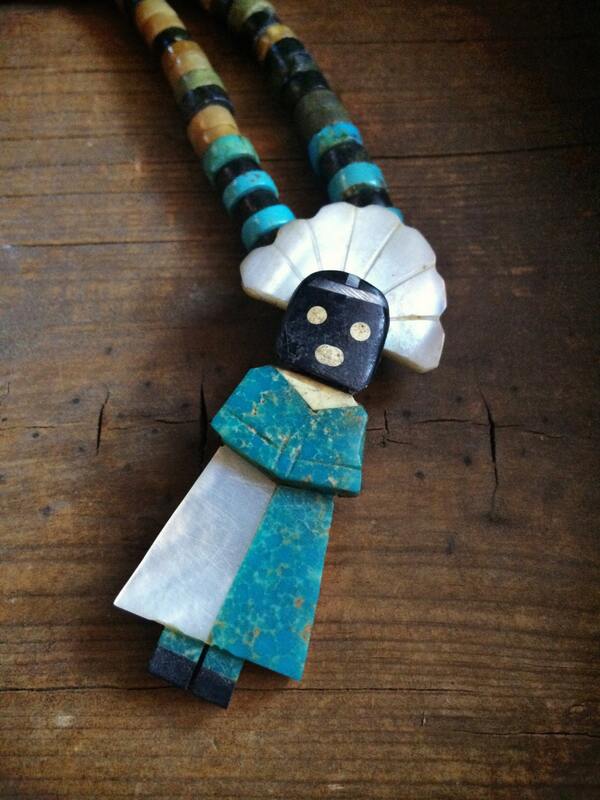 The Hopi or Zuni style Kachina had snapped into two pieces at the neck. I bought it thinking that the turquoise and serpentine disc heishi were so gorgeous, I would want them no matter. But we were able to put the Kachina back together with a small silver plate on the back (see Photo 3). 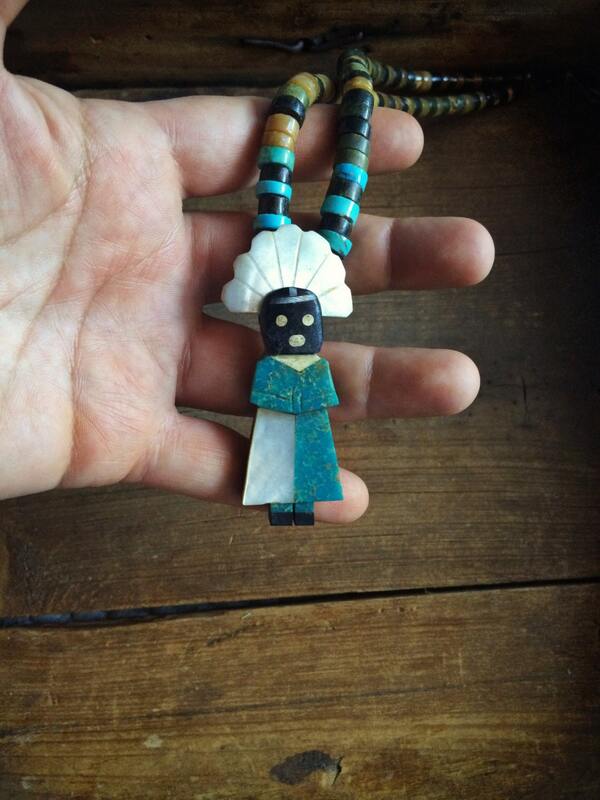 So here it is, reinforced--an older carved Kachina fetish made of bright blue turquoise and Mother of Pearl and what I believe is jet. 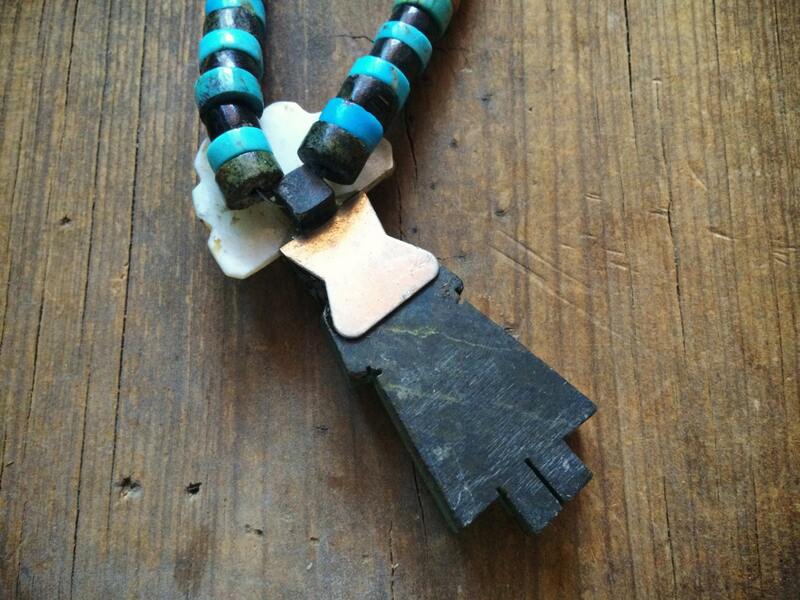 The necklace heishi discs are just fabulous--you can see they were shaped by hand, quite primitive and crude. Because it is unsigned, we cannot say with certainty that the piece is Native American, but we believe it is Zuni or Hopi, circa 1845-1960. The choker measures about 16" tip to tip, including the hooks, so closer to 15" without hooks. 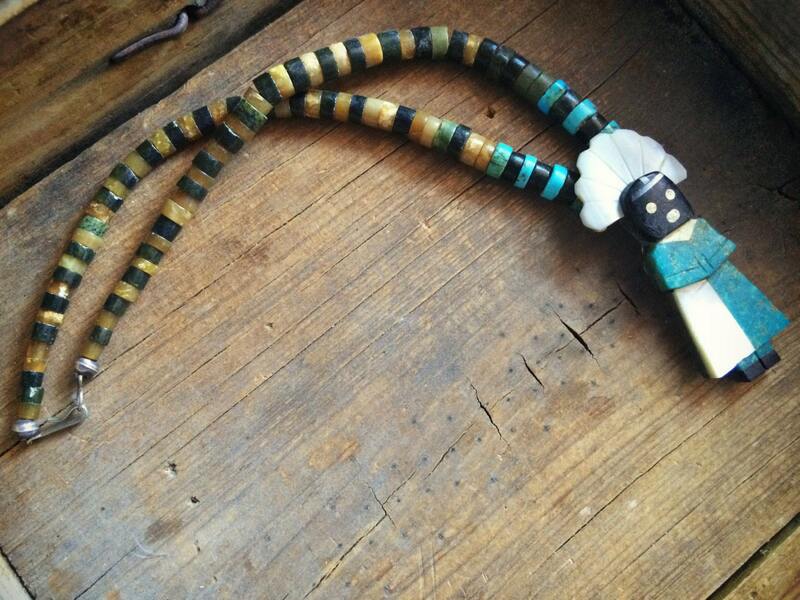 The Kachina fetish is about 2-3/4" long and about 1-1/4" across at the widest part of the headdress. As an older piece, it shows age, especially the Kachina. Hand shaped heishi and an old Kachina fetish--you're not going to find anything like this anywhere else!